A solid week of training under the belt. 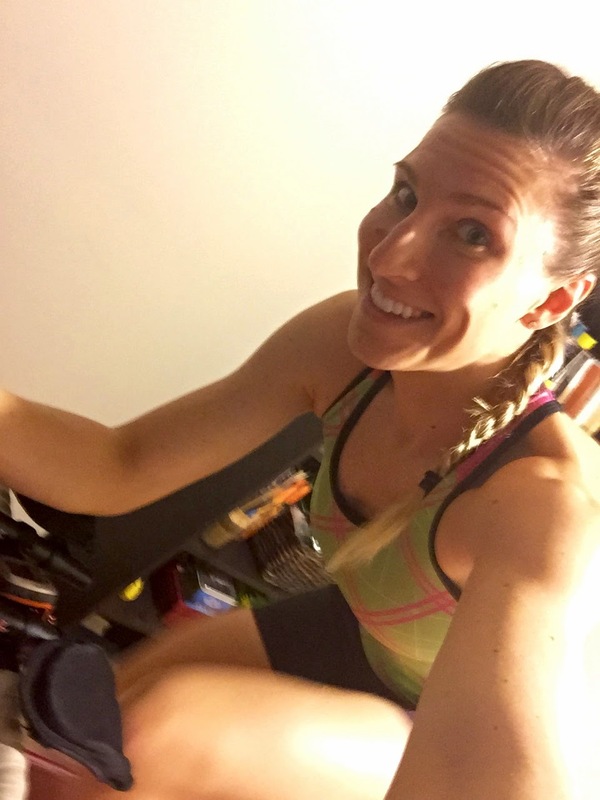 It feels good to be training hard and continuing to make progress toward triathlon season. It was a week of running, including my first 5k race of 2015! I was happy to spend time training and racing with friends, and am super excited now for the rest of the season! Tuesday: Morning swim with Jenn and Dale. It is always more motivating to get to the pool when you know your friends are going to be there! I swam about 3400m and did a main set of 4x100, 2x200, 400 strong. I'm excited for the Carleton pool to open again and to be back to my ROCS practices, because swimming on my own has been tough! Wednesday: Up and at 'em for a brick. It was the reverse of what I would normally do, with an easy 45 minute spin on the bike followed by a hard run - 3x10 minutes at tempo with 3 minutes rest and 10 minute cool down (total 10k). I managed to just miss the rain for my run - it poured both before and after! After the brick, I recovered with a shake made with Osmo Nutrition Acute Recovery for Women (now called Women's Protein!) blended with banana and strawberries. In the evening, I went to strength train with the OTC. Thursday: Long run in the evening - 14k! Friday: Afternoon swim and a strength session at home. The swim should have been longer, but the pool was super warm and all of a sudden, six people came out of nowhere to join me in what had been my own empty lane. At that point, I decided I had swam long enough, so I cooled down and went home (2600m done). Saturday: An easy 30 minute run on the race course for Sunday's 5k, with some strides at the end. The course was downhill on the way out and uphill on the way back! 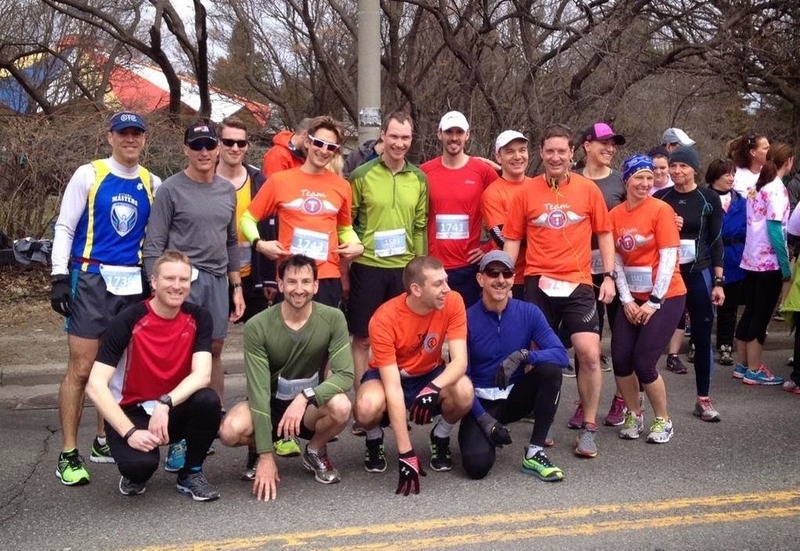 Sunday: The Ottawa Triathlon Club had 3 teams participating in the Alive to Strive 5k Team Challenge. My team was stacked with some super speedy guys, and we came in first! My time did not actually count toward our team time, but I was still happy to run my fastest 5k (in a race - 20:39) and to finish as the first female in the team challenge. The other OTC teams came in 2nd and 3rd. It was so nice to be out with friends supporting a great cause on a beautiful day! How do you like the Osmo Women's protein?! I don't like it with just water added... looking to try it mixed with other things. Your shake looks really good!! It's so frustrating when you have a swim lane and then a bunch of people just hop right in... some people can be really rude about it! And often, they aren't swimming freestyle.. just saying:) Great week of training, and way to go with that 5K pace!! Keep it up! Kristin, I usually mix it with almond milk and a banana. I haven't actually tried it with just water. They also have a new flavor, I think it is white mocha, so I'll be looking to try that one when I put in my next order!